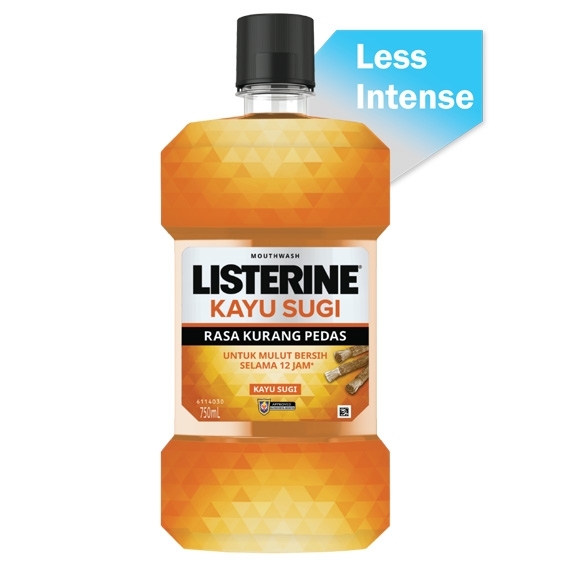 LISTERINE® Kayu Sugi with the natural extract of the Salvadora Persica stem kills 99.9% of germs that cause bad breath for a cleaner mouth up to 12 hours*. It is alcohol-free with a less intense taste. For the best results, rinse with LISTERINE® 20ml undiluted twice a day for 30 seconds and then expel the liquid. Do not swallow the rinse.